All-Pro Realty and Property Management has been providing full-time, full-service property management since 1996. We are seasoned experts in this area, and the leader in Jackson’s property management market. We’re loyal, and we’re here for the long haul. You can trust us now, and in years to come! Here at All-Pro we match the right tenant for your property quickly, helping you minimize downtime and maximize cash flow to meet your individual needs. Our professional staff and services WILL give you the best return on your investment of both time and money. So give us a call to discuss our full spectrum of services and how you can get started today! 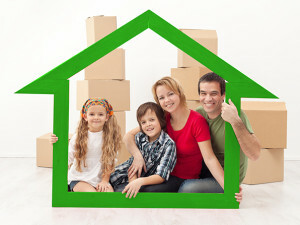 All-Pro Realty & Property Management has been family owned and operated for nearly 20 years. We have grown from managing a handful of residential rental properties to a current customer base of over 500. We are proud to have become the leader in residential rental property management in Jackson County. We provide our clients with local, professional services and care when handling their investments. We are the liaison between tenants, owners and vendors to ensure the best customer service available. All-Pro is a full service property management company. We are flexible to accommodate your property management needs and offer A La Carte services on an individual basis. Call us today for a personal consultation! Terri Zdanowitz, Broker/Owner, of All-Pro Realty and Property Management has over 25 combined years of business management experience in manufacturing and property management. Utilizing her accounting and business degrees coupled with her extensive experience here in Jackson, she provides an understanding of the issues and costs related to property management like no other. Additional full time office staff are dedicated to ensuring your experience whether renting or owning are the very best. Jeremy, our Maintenance Manager, processes all maintenance requests and vendor communications with his maintenance coordinator Ashley. Jeremy has been with us since 2012, Ashley since 2015. Bonnie has been with us since 2012 and she receives all rent collections and court procedures when necessary. Karen is our senior leasing agent, and has been here since 2006. Amanda is the other leasing agent as well as our certified photographer and marketing coordinator. Amanda has been with All-Pro since 2007. Our staff are individually seasoned experts in their area of expertise and are fully committed team members. We provide our clients with professional services and care when handling their residential or commercial properties. Supporting members of JALA, Jackson Chamber of Commerce, and operating under equal housing opportunity, All-Pro services a variety of clientele for Residential, Commercial, and Condominium Property Management.